I’m not quite sure what to make of this disturbing tale. 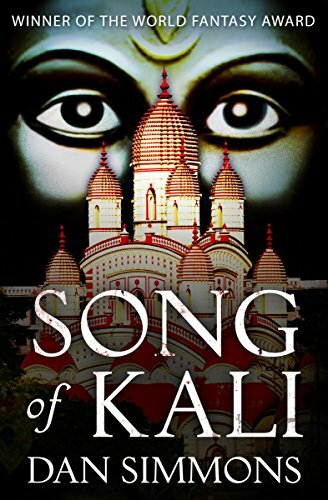 In it, an American travels to Calcutta with his wife (who is Indian) and infant daughter in search of a lost book of poems by an author long thought dead. The plot takes forever to get off the ground, but once it does every parent’s worst nightmare ensues. The author expertly evokes an atmosphere of human misery, darkness, corruption, and horror (some of it too explicit for my taste) that appears to be driven by a great cosmic evil. There’s just enough wiggle room for possible lying, hallucinations, nightmares, etc. that you can’t be 100% sure how much of what is going on is truly supernatural. If that was all there was to it I’d probably give it an “amazingly atmospheric but a little too disturbing for me” rating. However, the author also seems to be indicting Indian culture in general as almost completely calloused, corrupt, disgusting, and evil. Putting the fullest expression of that accusation in the mouth of an Indian character doesn’t make it any less insulting. Overall, the book was horrifying and convoluted enough that I kept reading just to see where it was all going. However, once I was done I felt like I had read the ranting of an ethnocentric tourist who visited India, didn’t deal well with culture shock, and decided to turn his negative experience into a horror story. (Also, this is my fourth book read for the 2019 TBR Pile Challenge).